Want an example of one of our 52 good, fundamental drills contained inside CoachDeck for Soccer? 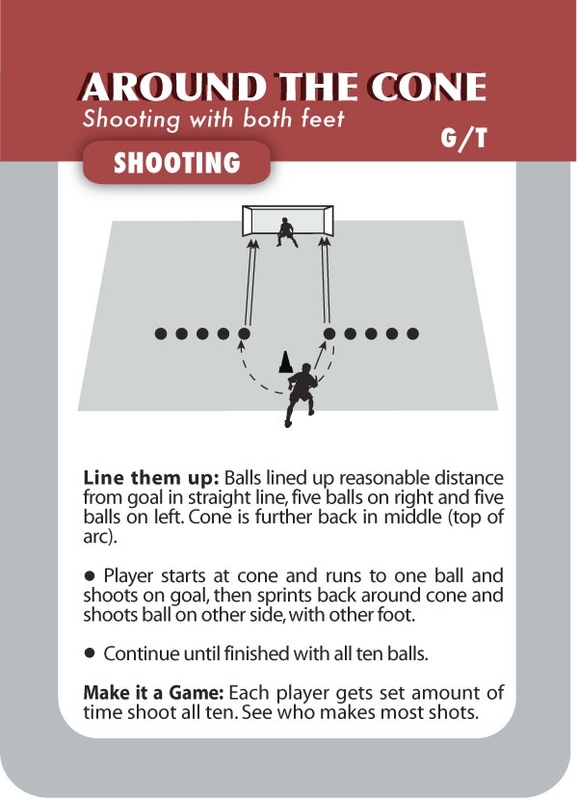 Around the Cone is a fun shooting drill that teaches players to shoot with both feet from various places on the field, while on the run. And, you can even make it a game your players will love!